5940 Clyde Moore Drive at the SE corner of Hamilton (SR 317) and Groveport Road. Free standing 14,250 SF Office building with 69 parking spaces on 1.509 acre site!! Approximately 11,000 SF contiguous available immediately at only $12.00 PSF MG. This is the largest amount of contiguous Office space currently in Groveport. Excellent signage located at Green Pointe Business Park and the entrance to the Rickenbacker Airport Industrial Warehouse area. 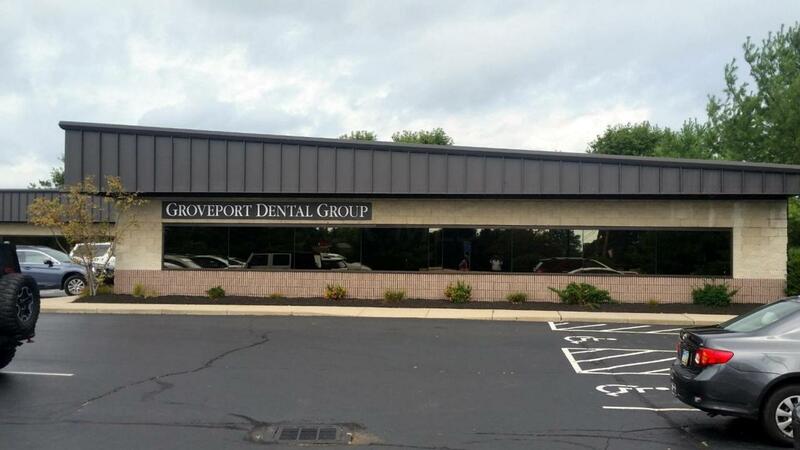 3,187 SF under long term lease with Groveport Dental Group through 2025. 11,000 SF was home to Groveport Madison School District for past 11 plus years - turnkey and ready to go for new owner user/tenant. Property for sale for $1,450,000 - $150,000 below purchase price in 2000!! Very easy to see - contact agent for full package.